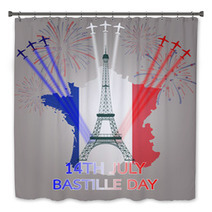 The 14th July Bastille Day Of France decorative pattern is conveniently available in an assortment of decorative goods from tapestries, to body pillows, to rugs and custom size window curtains, and even baby bedding or towels. 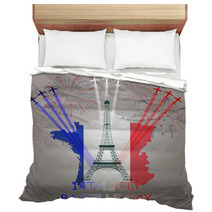 Entire French Flag themed collections are available for your bedroom, bathroom and almost any room in your house. 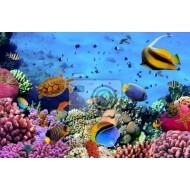 Have you thought about a new soft rug for your office? 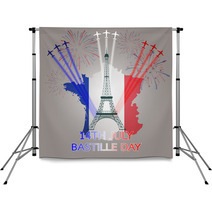 Let us change the main color or any color within this design to ANY shade you want. We can also add personalized text anywhere within the pattern. Our personalization options are pretty much endless. 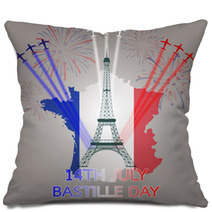 We can change the orientation or the central object within this particular 14th July Bastille Day Of France design. 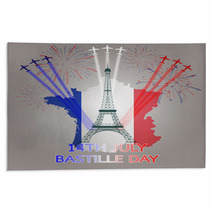 Get 14th July Bastille Day Of France rug revitalized! Let the rug establish the mood of your living room. By placing an area rug under a furniture, you unite it with the furniture above it into one space. Check that the front two feet of your biggest piece of furniture are resting on the rug. Don’t be afraid to use textured rugs. An ornamented rug often makes up for a boring furniture, bringing your space some life! Even better if the rug’s design matches the curtains. Try layering various patterned rugs to form a casual ambiance. Apply less spacious rugs to keep your feet toasty right out of bed! Step out of your bed and be greeted by a warm mat for your feet. Getting out of the shower? Keep your feet toasty by moving onto a pleasant soft padded rug. Start your day with a bit of heat! Your home is toasty and private, we want you to be able to keep it that way! Look for a fabric that you could sleep on and a style you adore to introduce a layer of love to your flooring. If the room gets natural light, use window dressings with pale hues that won’t weaken. Ditch those dark curtains and let the natural light float in. Brighter colors reflect more sun, which will illuminate your space! Light curtains also let light in while still acting as a screen to hide the view. 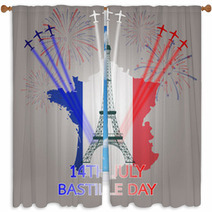 With the exception of blockout drapes some sun will come through these 14th July Bastille Day Of France window curtains. 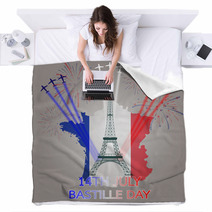 This duvet is absolutely beautiful on my bed. I only wish I had purchased a size larger as you can see the white under part and it is too short to tuck. I get so many compliments. I only get compliments as I show it off to friends who visit, lol !!! 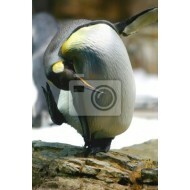 I am VERY happy with my Penguin Canvas Wrap. ALL the products I buy from Vision Bedding are extremely high quality and the pictures/photos applied are done with great knowledge and expertise. I have ordered four more "one of a kind" items from them and I am confident that all of them will meet and even excel my high expectations! 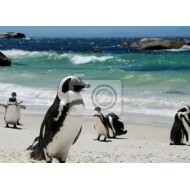 I love my canvas wrap penguin picture. I ordered it before I realized there was SO many wonderful colorful and varied penguin photos and pictures available just on the Vision Bedding online site... so instead of confirming the picture, which was perfect for the original picture I had chosen, I sent an email note to them asking if I could change my mind and have a real favorite I had found. It was no problem. 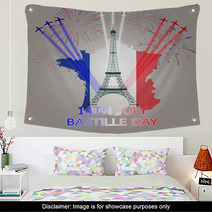 I just got the item, it was a gift to my husband, and we both LOVE it. 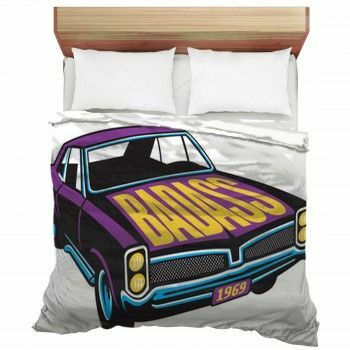 I have ordered two more items from Vision Bedding. It is a pleasure doing business with them.